Dogs are well known for being loyal and lovable which is probably why they are also known as “man’s best friend”. However, not everybody feels the same way. 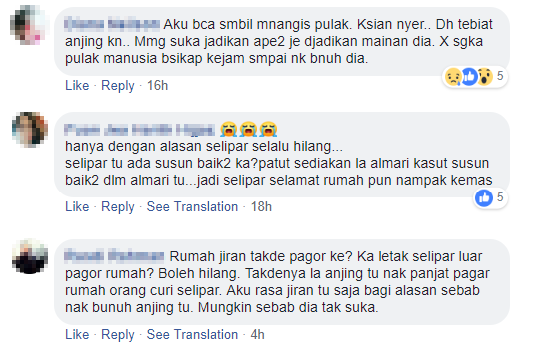 On a viral Facebook post, a dog was allegedly poisoned and beaten up with sticks because they assumed it stole slippers. 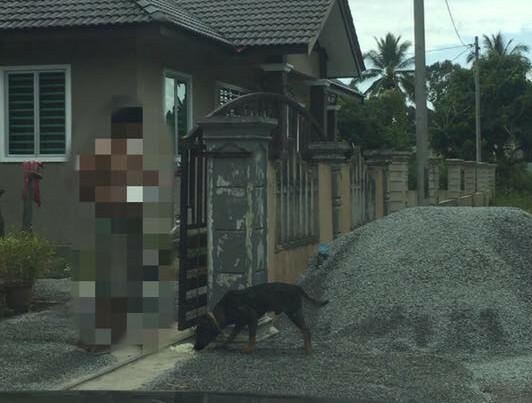 The story started a month ago when a stray dog was spotted at Mastura Shah’s housing area. 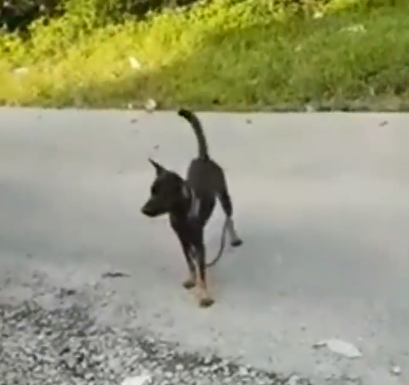 The dog was seen with a leash so she assumed it had an owner. As the dog sat around the bushes near her house, Mastura tried to chase the dog away, asking it to go back to its owner, but it did not budge. Upon further inspection, her children pointed out that the dog was suffering from injuries on its body. However, one day, Mastura’s neighbour called her to come out. He was complaining about his missing slippers and demanded to know who owned the dog. Mastura told him she did not know who the owner was but said that she fed it regularly. She also assured him that the dog was innocent and did not steal his slippers. 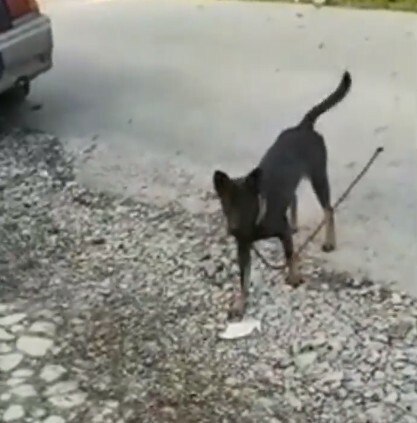 As the neighbour got angrier, he threatened to call the city council to handle the dog. However, one day, a group of men riding motorcycles arrived at the neighborhood while the dog was hiding in the bushes. 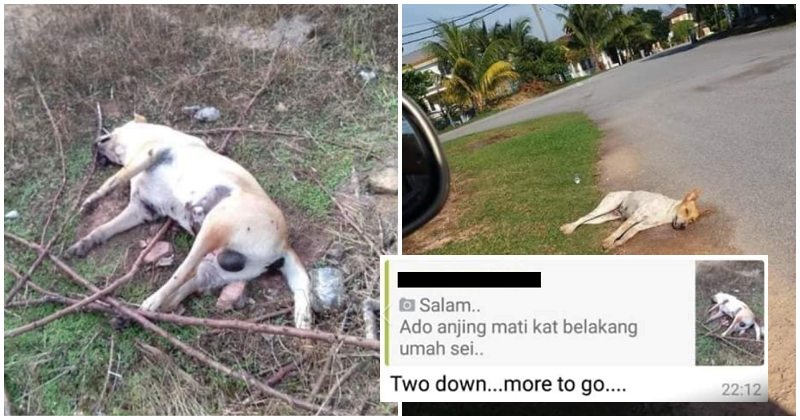 Mastura thought that they would be taking the animal to the shelter but to her horror, they reportedly poisoned the dog and started beating it with sticks until it died. The poor dog was buried along with its leash as the group of men left the area. It was not mentioned where the incident happened. “Although I’m not the dog’s owner, I fed it for one month and it never gave me any trouble. The dog even helped me to guard my house. Why are humans so cruel? I’m sorry, doggy, I couldn’t protect you. You can rest in peace now.” she said. 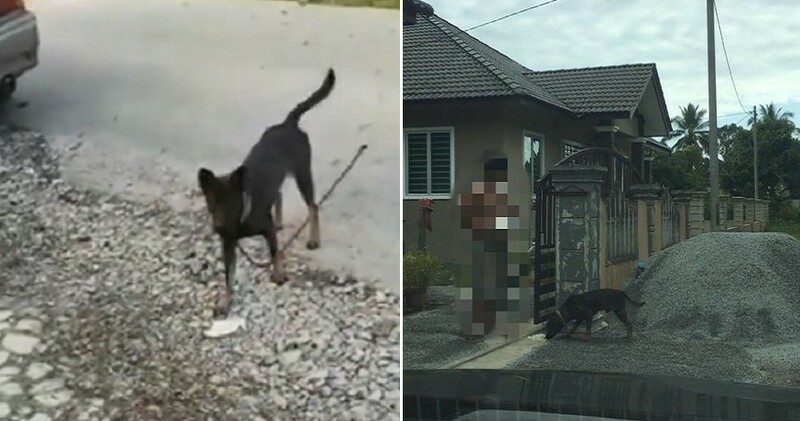 Netizens were shocked at the how the stray dog was cruelly treated. Animal cruelty is sadly still prevalent in society nowadays. Let’s do our best to combat this and be better human beings.